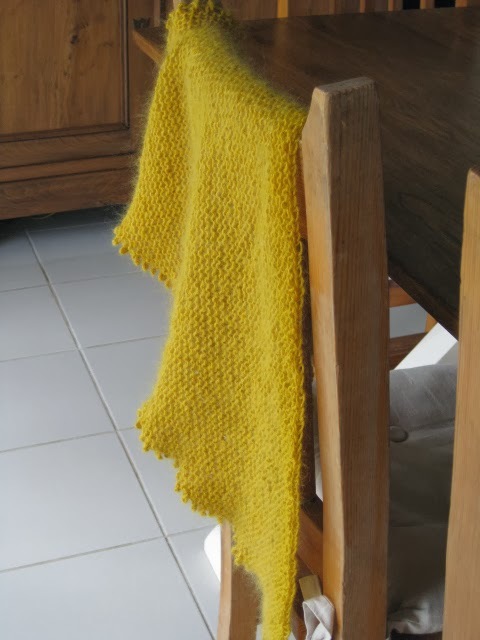 in my hands, and I did this "moutarde" (as we call in French) shawl. 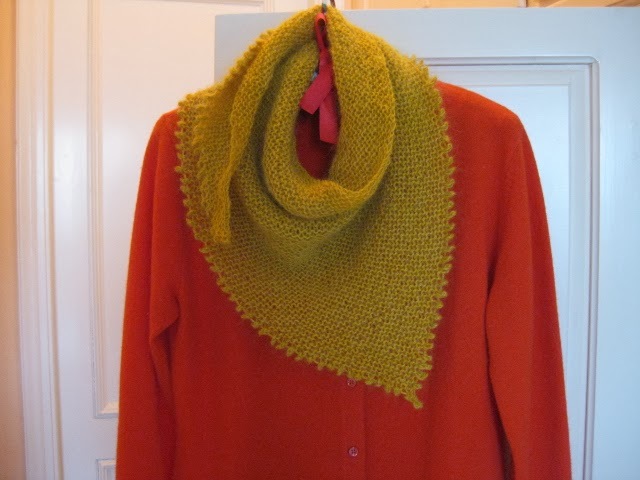 I used two yarns : an alpaga wool and a thin mohair together. Oooh I love this colour. 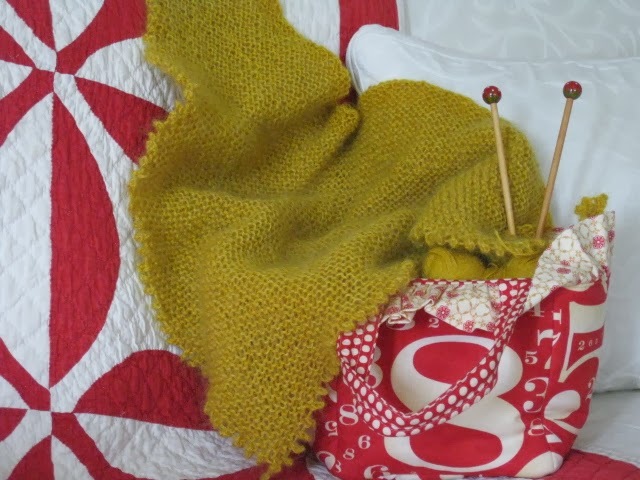 I think I'm going to knit something colour-wise with Madelinetosh, but I think I'm aiming for late summer. Feels like a harvest colour. :) Very lovely! 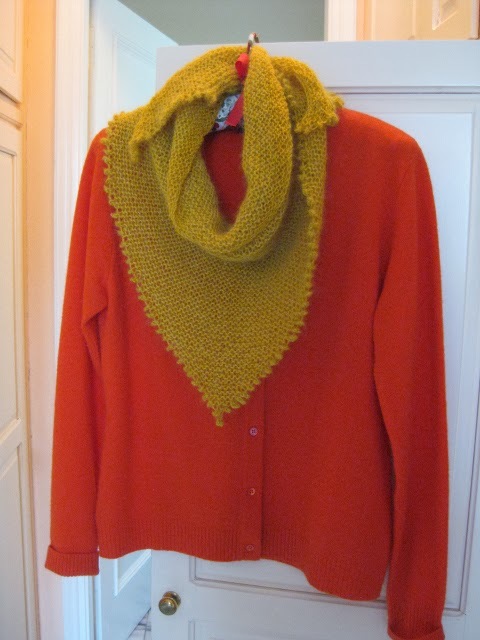 I love the color and texture of your shawl. You've inspired me! Thank you Linda, pleased to be of inspiration to you!